CROMWELL — A Cromwell man was arrested on drug charges following a traffic stop. 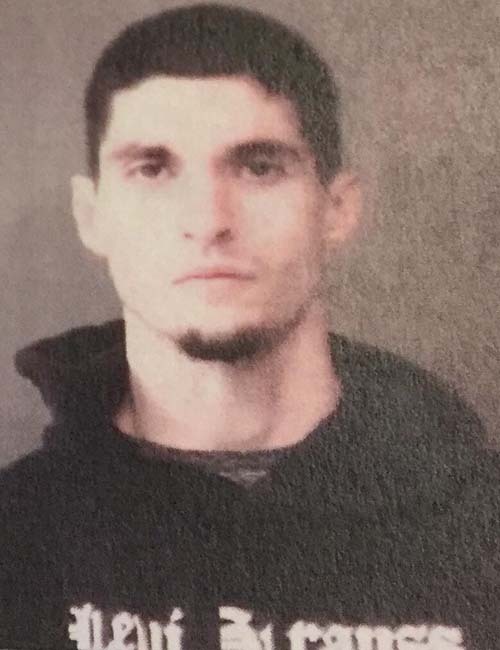 James Paul Grothaus, 24, 127 S. Jefferson St., Cromwell, is facing charges of possession of methamphetamine, a level 6 felony, and possession of paraphernalia, a class C misdemeanor. On Feb. 18, an officer with the Warsaw Police Department observed a black Chrysler Sebring traveling 36 mph in a 30 mph zone. The license plate light was also not working. According to the affidavit of probable cause, the male driver of the vehicle had a driver’s license from the state of California, but the license was suspended. The passenger in the vehicle, identified as Grothaus, had a suspended driver’s license from Iowa. As a result of the driver not having a valid driver’s license, the officer impounded the vehicle and conducted an inventory. During the inventory, digital scales were found on the inside passenger door. The scales contained a white residue which field-tested positive for methamphetamine. Four clear, plastic bags were also found. The bags contained a crystal-like substance which tested positive for methamphetamine. Total weight of the methamphetamine was reported as 2.1 grams. When the driver of the vehicle was read his Miranda rights, he agreed to speak about the situation. The driver told the officer that during the time he was pulling the vehicle over, Grothaus was “messing around and hiding something.” The driver stated that the drugs located in the vehicle did not belong to him. Grothaus was booked in the Kosciusko County Jail Feb. 18, with a $5,250 surety and cash bond.